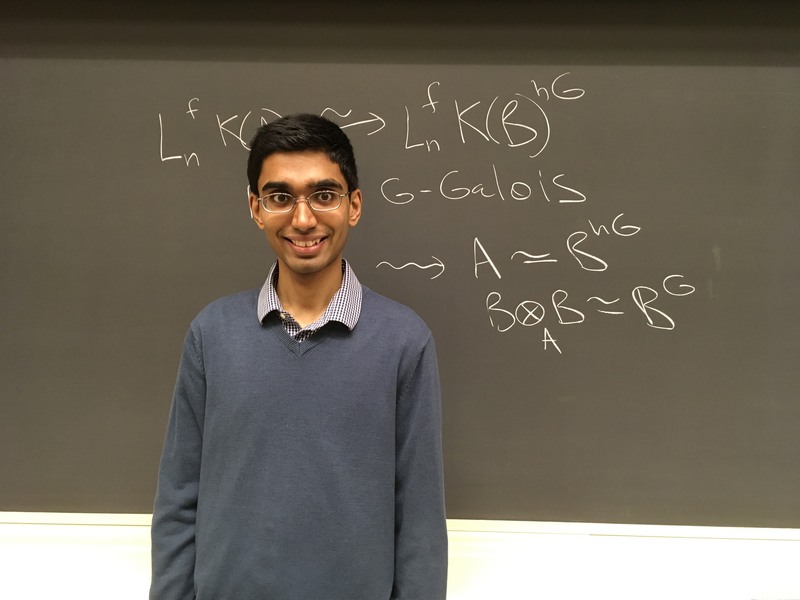 Akhil Mathew will receive his PhD in 2017 from Harvard University under the supervision of Jacob Lurie. Previously he received an undergraduate degree from Harvard and studied at UC Berkeley for one year. His research focuses on homotopy theory, higher categories, and their applications, especially to derived algebraic geometry and algebraic K-theory. Some of his past work studied various generalizations of faithfully flat descent in stable homotopy theory and their role in describing certain invariants of structured ring spectra. Akhil has been appointed as a Clay Research Fellow for a term of five years beginning 1 July 2017.